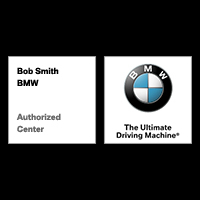 The BMW experts at Bob Smith BMW in Calabasas, CA have a comprehensive knowledge of how every BMW works. Our BMW mechanics are factory trained and are able to assess and diagnose any and all symptoms with your vehicle. Bob Smith BMW provides high-quality BMW repairs, as well as other vehicle repairs. Our BMW service is affordable, but we also offer monthly BMW Service specials that our customers can take advantage of! Our BMW service center also has an extensive list of BMW car parts! Our BMW dealership is top-notch, and has a wide selection of new BMW cars, pre-owned BMW vehicles, parts and of course comprehensive service! Visit our BMW dealership at 24500 Calabasas Road, or give us a call at (888) 707-6277 to schedule a service appointment!